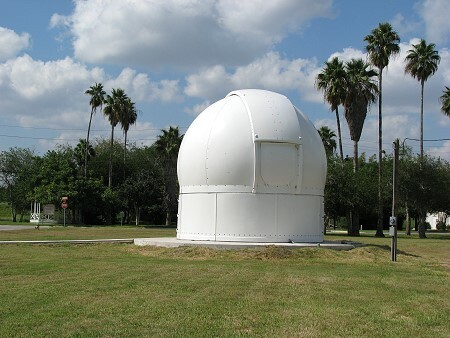 The 6.5m Astrodome is a popular choice for universities. 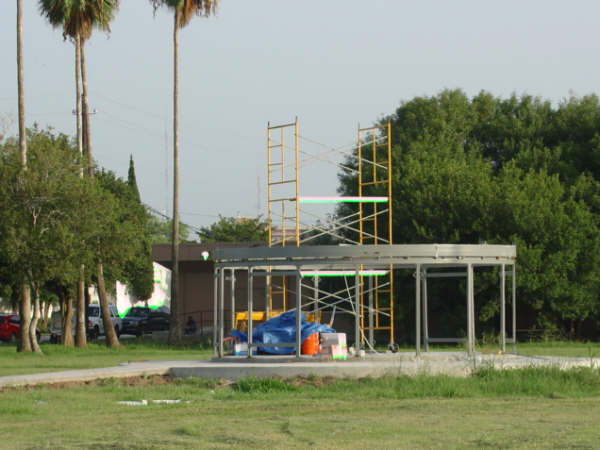 It is constructed of heavy galvanised steel and marine grade gel coat and 6mm - 10mm fibreglass. 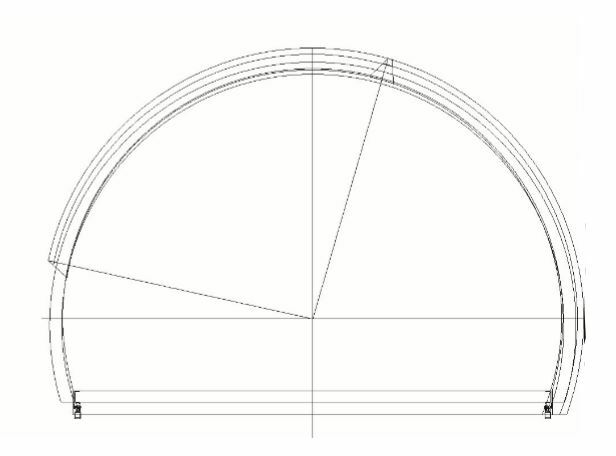 This gives the Astrodome more than adequate strength and rigidity which in turn translates into durability. The inside is painted dark blue as standard but can be customised along with the gel coat to the customer's colour of choice. 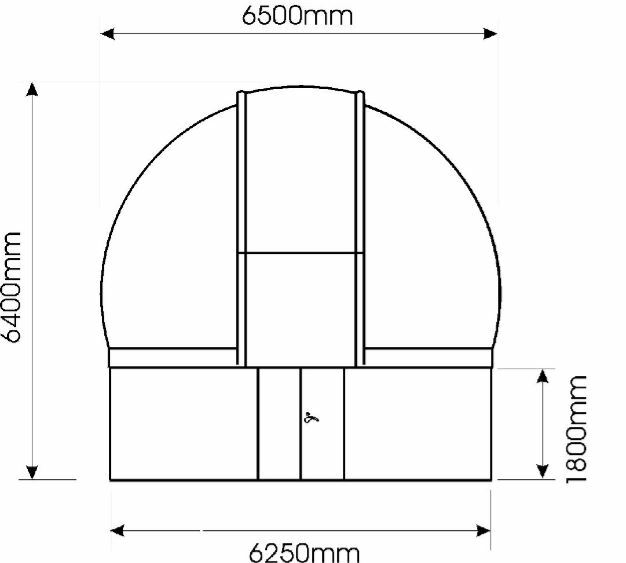 The Astrodome comes with a motorised shutter, drop down hatch and azimuth rotation. The shutter motor is a 12DC powered by a deep cycle (not included due to shipping restrictions), solar charged 12V battery to eliminate expensive and unreliable electrical slip-rings. The Azimuth drive utilises 220-240v or 110v motors depending on customer's requirements. 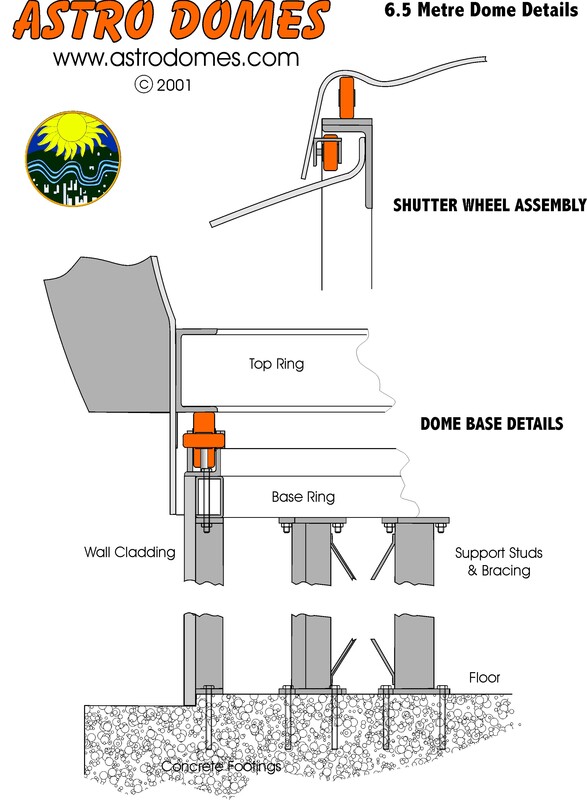 The dome rolls on nylon or urethane wheels for smooth quiet operation and a rack and pinion set up is used is engineered for reliability and free of maintenance.The rack and pinion always for accurate encoding of position if automation is added. Each motor is controlled with a control box that uses a soft start feature to eliminate the wear from jarring or the customer has the option have the dome automated. 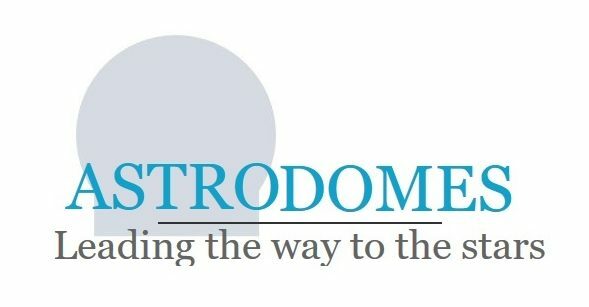 Astrodome is pleased to be partnered with Astronomical Consultants & Equipment Inc, to provide the most sophisticated and reliable automation systems available. 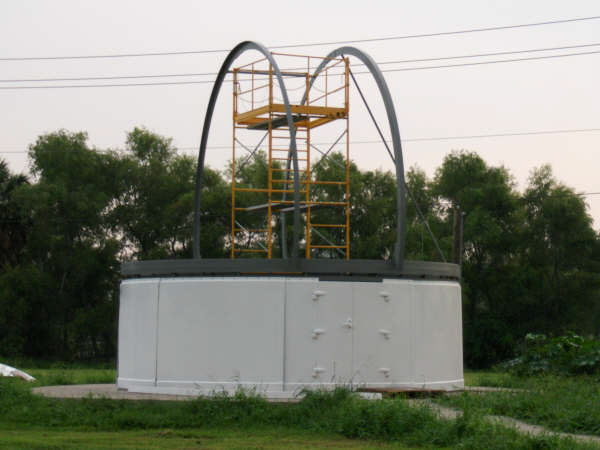 It is a robust system with multiple fail safes for reliability and safety features. 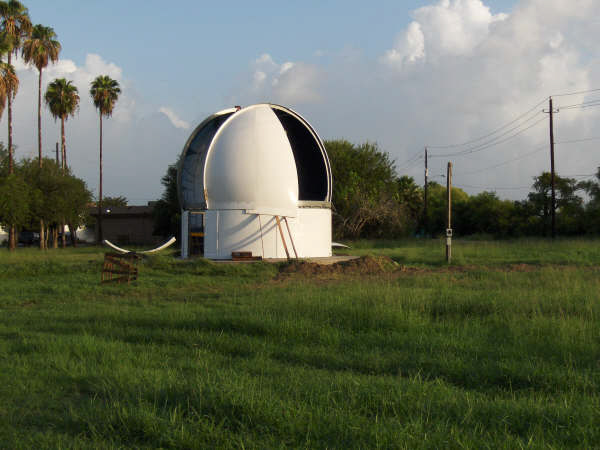 The 6.5m Astrodome is made to pack inside a 20ft shipping container. 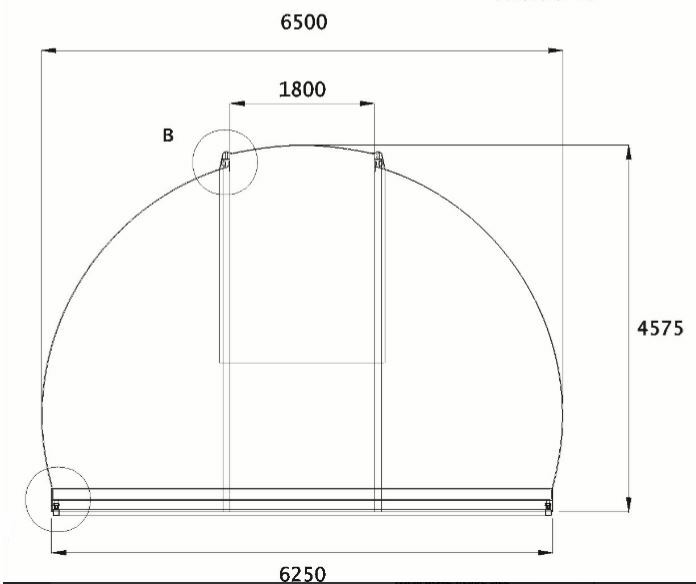 Due to the size and addition of steel, the 6.5M Astrodome requires professional installation which is a service we provide worldwide or alternatively instructions, plans and support can be given to local professional tradespeople to complete the installation.